The Battle of Asiago (Battle of the Plateaux) or the Trentino Offensive (in Italian: Battaglia degli Altipiani), nicknamed Strafexpedition ("Punitive expedition") by the Austrians, was a counteroffensive launched by the Austro-Hungarians on the Italian Front on May 15, 1916, during World War I. It was an unexpected attack that took place near Asiago in the province of Vicenza (now in northeast Italy, then on the Italian side of the border between the Kingdom of Italy and Austria-Hungary) after the Fifth Battle of the Isonzo (March 1916). On May 15, 2,000 Austrian artillery guns opened a heavy barrage against the Italian lines, setting Trentino afire. 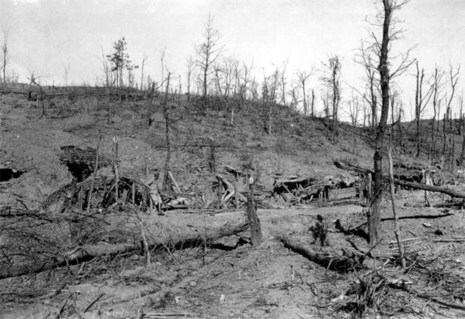 The Austrian infantry attacked along a 50km front. The Italian wings stood their ground, but the center yielded, and the Austrians broke through, reaching the beginning of the Venetian plain. With Vicenza about 30 km away, all the Italian forces on the Isonzo faced outflanking. Cadorna hastily sent reinforcements to the First Army, and deployed the newly formed Fifth Army to engage the enemy in case they succeeded in entering the plain. The situation was critical. However, on June 4, the Russians unexpectedly took the initiative in Galicia, where they managed to enter Austrian soil. 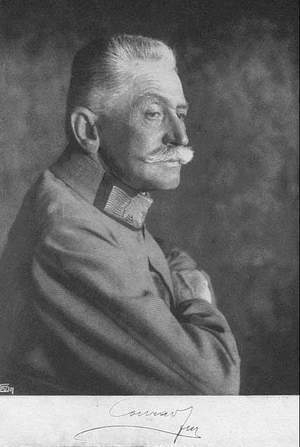 Although they were effectively countered by German troops, Hötzendorf was forced quickly to withdraw half of his divisions from Trentino. With that, the Strafexpedition could no longer be sustained and the Austrians retired from many of their positions. Italian troops in the region were increased to 400,000 to counter the Austrian positions.